Banljuständning: Radiobärvåg med 5 st. 5-sek/tryck vid mörker. Radio-controlled runway light (PCL): 5 times, 5 sek. with S/M-key. Landningsavgift: 100 kr (specialpris t.v.). Landing fee: 100 SEK / 10 EUR. (special price until further notice). RWY and bearings: 12/30 = MAG 114/294 gr. 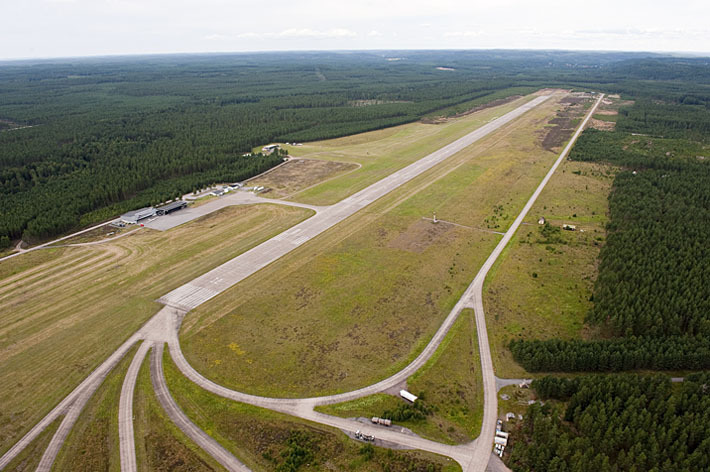 RWY length/wide: 1 945/40 m.
ILS: Finns, men f.n. ej i drift. / Not in use at present. Fuel: Avgas 91/96 UL. (betalning kan göras via kortterminal på kontoret / You can pay by credit card at the airport-office). F.o.m. 2018-07-25 finns även JET-A1. 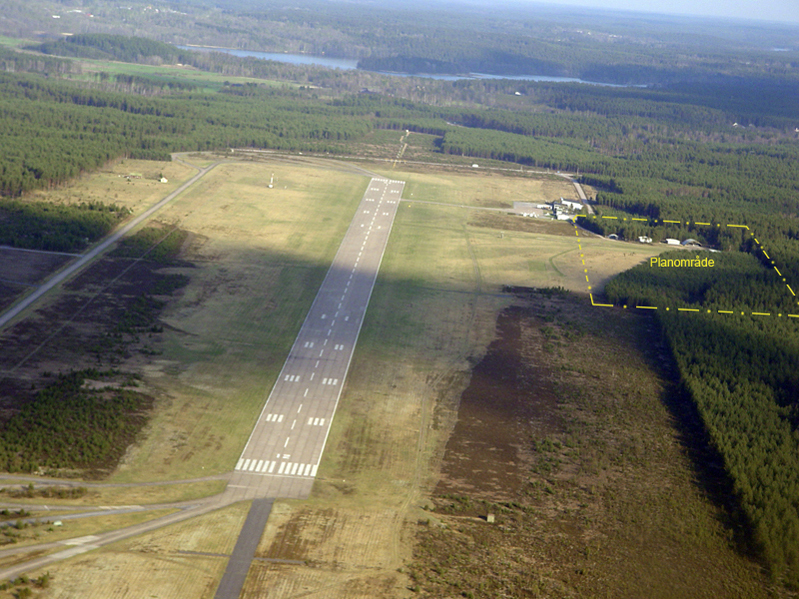 Hinder/Obstacles: Smaller mountin north-east of RWY 30. Marked by red flashing light. 40 fpm. Periodical in summer very frequent glider (sailplaning) activities around the field. Gliders downwind: Left RWY 30 / Right RWY 12.